Social Media Presence & What is it ? What does Social Media presence mean? Not really what you think it does I would bet! It does not refer to your social media accounts being there or not there, (Present or Absent), but rather how they are there. Basically, one’s Social Media presence refers to how they post and engage on all of their accounts. It refers to how frequently you post, the type of content posted, and the levels of engagement on your Social Media accounts! Just as someone who attends class that day is marked as “Present”, if you post on a social media account daily, you have a social media presence. But not so fast! Just because you are posting on social media daily, does not mean you automatically get a gold star. Similarly, just because someone is in class that day, does not mean they have a good presence, (stay with me here!). If you attend class, but good off the entire Time, Laughing, Yawning and passing notes, then you would probably be noted as having a bad “classroom presence”. Presence is basically how you are within where you are. See? 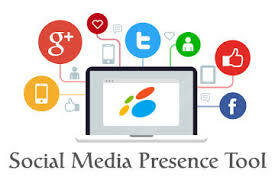 So present is different than presence, but both coincide when evaluating one’s Social Media presence. Lastly, the final part of maintaining a good Social Media presence is a concept constantly written about in our Digital Media community- it’s the big E word- engagement. One’s Social Media presence is always going to be better when the poster is engaging with followers or likers. Just like in conversation, if you ask a person something and they do not respond, it is seen as rude or standoffish, if you have a social media account where people are constantly sending in questions, if you don’t respond, it’s rude! Engagement, like responding to questions or comments, but also just reaching out to followers or individuals, is a major gauge of a brand’s online presence, whether it is good or bad. Social Media and Search Engine Optimization goes hand to hand and if you are one of those who believe in creating relation than writing for search engine, Social media is the right place to start with. Now, the first question which comes in somebody mind, where to start with your Social Media presence. According to reports, Facebook and Twitter are one of the most profitable social media sites, and one of the best place to start. More over, Search engine quickly index Facebook, Twitter & Google plus profiles. 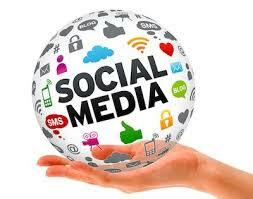 Social Media Presence is creating your footprint on various Social Media, and web3.0 sites. For example, by creating Facebook fan page or Twitter profile, you creating your Presence on these sites. Similarly, there are many websites like Pinterest, Google plus, Stumble Upon which you can use and utilize for your online presence. 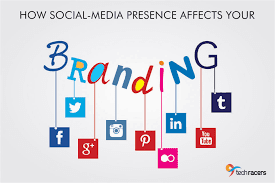 Once you are into these social media sites, you will be able to connect with your customers and readers directly and you will be able to understand their interest and sentiments better. 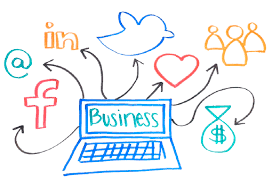 Social media marketing, is the term coined to using Social media for your marketing benefits. Bloggers can read this handy guide on benefits of social media marketing in Blogging. Companies can hire any local social media presence or marketing agency, to create a complete plan for their social media strategy or if you are one of those DIY guy, read on and by the end, you have done all the basic steps of social media presence. Here are few things to keep in mind before we start. Right now, Facebook is most popular Social Networking site. On Facebook your can create pages and group under your brand name and people can connect to it by liking your fan page. When ever you will update a status on your fan page, it will be shown on your fans timeline. You can start with creating your Fan page and do not forget to claim your custom username, which will help in branding. Also, make sure you engage with people on your fan page with status updates, Images and other methods. Talk about Trending topics in your niche, give free tips and advice’s or better run contest to engage with your fans. Plan is to get more likes and comments on your updates, which actually shows users are engaging with your fan page. Here are some of the articles, which will help you to get started on Facebook. Twitter is another powerful micro-blogging site. With 150 Characters, you can reach out to a large audience. Getting on Twitter is easy and with in minutes, you can create a profile and create your Social media presence on this site. There are few things which you can do to better engage with your followers on Twitter. Google plus is one of the newest Social networking site in this list but one of the most powerful in the list. Google plus have great impact on Search Engine Optimization and having a Google plus page is going to very useful in coming days. Right now, page have many limitations like you can’t auto post and there is no 3rd party tool, as Google plus API is still awaited, but it’s just a matter of time. If Search Engine Optimization is an important sales or traffic driving factor for you, Google plus presence is must for you. Here is one article, which will help you to get started with Google plus. LinkedIn is one of those social network which is confined to a small number compare to others, but have a quality audience. LinkedIn is not only for businesses but it’s one of the best place to find a job or freelancing work. I’m sure most of you have heard of Quora, one of the best site to get answers from experts for free. Quora can help you set as an expert on your niche and also follow your brand Keyword there to make sure, you get notified when people talk or ask questions related to you or your brand. Youtube is world’s most popular free video hosting site. Videos are the best way to brand yourself, and with YouTube videos, you can quickly find yourself on Google. You can take advantage of Google Search Stories to create your presence on YouTube. Best thing about YouTube is, you can use your Gmail login to access youtube. Pinterest may not be for everyone, but they are one of the most popular social networking site globally. You can use Pinterest for marketing or for your brand promotion. Sign up for Pinterest. Social Media News :- A news site which releases worldwide news on business has recently posted a blog that details why having a strong social media presence is essential for businesses in 2017. There are various social media platforms used frequently by businesses, for example, Facebook, YouTube, Pinterest, Tumbler and Twitter. It has been said that social media is an incredible marketing tool as it is easily accessible from mobile devices and brings people together. a. Cost-effective Marketing Solution – Social media is a great way for businesses to reach out to their potential customers. Other forms of marketing, such as appearing on a television advert can be extremely expensive – therefore showing social media is a cost-effective way to reach potential Customers /Clients. b. Enhanced User Interaction – Social Media makes it easier for a business-person to respond to any question and complaints from their customers or clients. This will build the businesses brand awareness and also be seen in a positive light. c. Enhanced Networking and Learning – This is most commonly used on the social platform, LinkedIn. This allows a business-person to grow their own personal network by connection with a variety of users with similar interests. 1) Be regular and consistent. Part of social media’s effectiveness is being able to keep your name and message in front of your followers. A post here and there a couple times of week will get lost in the millions of other posts. Further, whatever social media strategy you set up, you need to stick with as long as it works. There are many dormant Twitter accounts and Facebook fan pages. No wants to follow those. 2) Speak to your market. People are not that interesting in knowing what you had for breakfast, unless of course you’re a food blogger. When it comes to social media marketing, the goal is to keep your market informed about the topics related to your business. For example, most of the stuff I share on social media has to do with home business or telecommuting because that’s why people follow me. 3) Match the Message and format to the proper network. What works on Twitter, does not necessarily work on Linkedin. 4) Respond to your followers. One of my pet peeves is tagging or contacting a company through social media and never getting a response. Why bother having social media if you’re not going to be social? Respond to comments, questions or mentions made by your followers. They’ll be offended if you don’t. 5) Make it easy for others to share your content. This seems like a no-brainer, but just the other day I was on a site that had no share links. Fortunately for them, I use Hootsuite’s Hootlet, but not everyone does. And most visitors aren’t going to deal with the hassle of copying and pasting your URL to their social media. Make it easy for them to share your content by including social share links on your blog or website. 6) Use your stats to identify popular posts and topics. One of the biggest frustrations in social media is not knowing what will go viral and what won’t. The best rule of thumb is to post helpful, relevant content for your market. With that said, your social media and website stats can help you determine what’s popular. 7) Use Hashtags Where Appropriate. Twitter is the king of Hashtags, which is helpful since the conversation moves at lightning speed. Hashtags help people find content on the topics that are of interest to them. Use of hashtags on other social media sites can be helpful, but don’t overdo it.